Connie Prince Digital Scrapbooking News: Wednesday Game, Sales and Freebie! Wednesday Game, Sales and Freebie! Ready to play our weekly game? It takes just a couple minutes and you will be entered for a chance to win a gift certificate to Connie's store! 1. 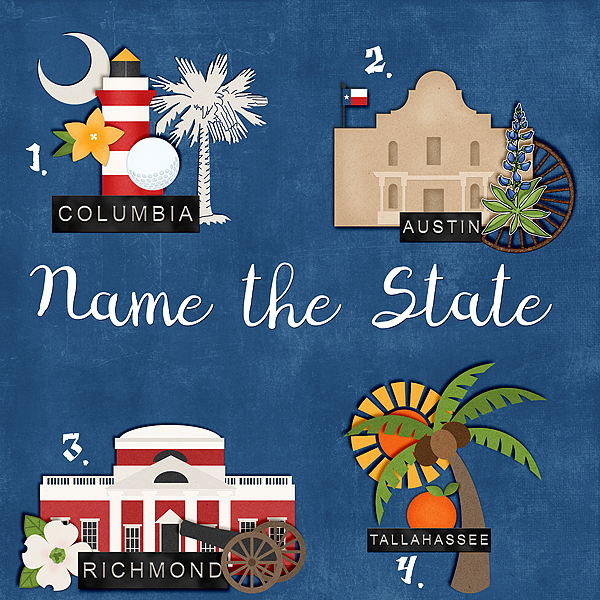 Name the states pictured. you can look them up by Travelogue kit or by their capital city. Today is the last day to save on Connie's My Lucky Stars!